This is an excerpt from an article originally published on Pursuit. Bill Gates recently issued a stark warning to the world. Indeed, Professor Jodie McVernon, the Director of Epidemiology at the Doherty Institute, notes that infectious diseases are an ever-present threat. “With the increase of global travel and trade, new infections can spread rapidly across countries and continents,” she says. And if you thought bird flu was no longer a threat, think again. Professor McVernon is leading a research team that is collaborating with public health professionals to create mathematical and computational models of infectious diseases such as pandemic flu. Their research is directly informing public health policy on a global scale. “My work aims to help public health decision-makers and policy-makers plan for these future unknowns,” she says. The models chart what might happen in an epidemic under a range of different scenarios. They also help to guide thinking about the best strategies to use and inform decisions about stockpiling critical medicines and protective equipment. Thanks to the team’s research, Australia now has a necessary policy toolkit to prepare for and mitigate the whole-of-society risks posed by emergent infectious diseases. 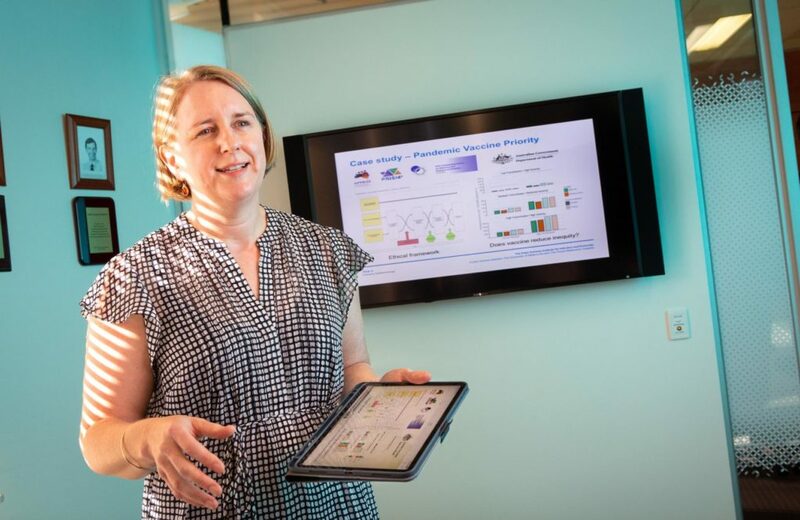 Professor McVernon’s research has helped inform the Australian Health Management Plan for Pandemic Influenza, which is one of the primary policy instruments with which the Australian government responds to emergent infectious disease threats. To read the full article, please visit the University of Melbourne’s Pursuit website.